The video is outpacing the various media forms across the web. We all know how much video has impacted our daily lives and even the marketing ecosystem. Today every marketer was including video in their marketing strategy to fetch good sales conversions. 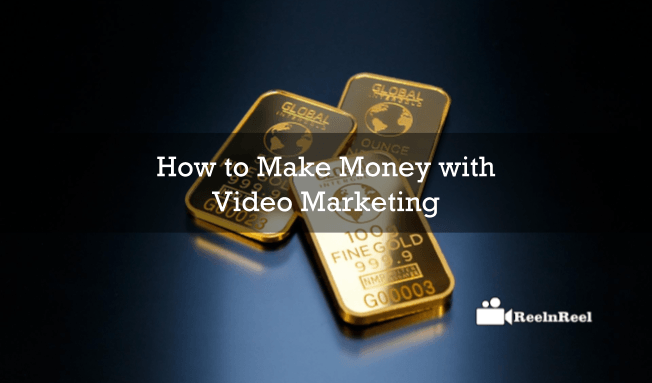 Learning something about video and how to make money with video is the most interesting thing to every reader and especially for every marketer. Here is a detailed guide exploring the ways of earning money using videos. Let us go through the things one by one. What are the do’s and Don’ts to start earning on YouTube platform? • YouTube platform is the best place to experiment your possibilities of videos across the YouTube platforms which have been uploaded every day. • It is hard to find your video among those millions of video platform. However, you can earn the most out of it using your videos. • The viewing and conversion rate will be more on YouTube comparing to other ways of making money. • Start your YouTube channel now and fill everything that was needed to describe your official business channel. • Learn and explore the possibilities of promoting your videos on YouTube platform. • The main advantage in choosing the YouTube for your video marketing is, you do not need any domain or investment for hosting your video site. • You can simply make your online presence with ease. • The uploader and visitor interaction is good on YouTube. • You can earn on YouTube platform from the day one by enabling the monetization. • The earning ability will depend on the way of marketing and promotion of your video content to fetch good views, comments and likes. • The ad sense approval is very easy on YouTube as bloggers have to wait at least six months to get approval, but on YouTube, it is very quick and easy to get the approval. • YouTube has more targeting options to reach the audience where other platforms do not provide such a targeting options to build community and the audience to your channel. Well, we just explore the things why you should choose YouTube at first place for your video marketing and to earn money online. • Google Adsense is a gateway for monetization on YouTube platform. • It shows the contextual ads on the videos which help you to make good money whenever the ads got clicks from the viewer. • It is one of the easiest ways to earn money. • Sponsored videos are the great way to establish real popularity to your videos and the channel. • You can get sponsors for the videos in which they will pay you to show their ads at the start and ending of your video. • The best way to earn huge in short span. • You have to pick a product ad to create a video around that product by keeping the link in a description. • You can earn per sale and it depends upon the affiliate partner you have chosen. • Affiliate marketing is nothing but advertising the others products in your videos or your channel and gets paid for the same. • If you are a blogger and have good quality content with you, Don’t step back and prepare a video version that exactly fit with the things. • Upload the same on your channel by giving the blog post links in the description for the people who want to read instead of watching the blog video. • You can get some extra bucks by diverting the traffic to your blog as well as by earning the video views to your channel. • The advertiser will pay when their ad was showcased. Time, content and the gender are some of the factors that affect the CPM rates. • The CPM rates vary from 50 to $11 per thousand impressions. • YouTube will take only 45% of the ad generated revenue from the RPM. • eCPM is similar to the RPM rates, and it will divide your earnings with the monetized playbacks and multiplied with 1000. • Create best quality videos which can perform better. • Make videos that are interesting and compelling the targeted audience. • Know your audience and create specialized content targeting their interests and suggestions you have received. • Ask your viewers to subscribe and like your videos. • Connect with the comments and respond in a positive way to build a loyal audience to your channel. • Optimize your channel descriptions, tags and other metadata to fetch good rankings over the search engine results. • Market your videos or cross-promote the YouTube videos across different social media platforms like Facebook, Twitter, etc. • Don’t encourage duplication of other videos as you will receive copyright strikes which affects your monetization revenue. • Don’t explicit the video content. • Don’t violate the YouTube terms and conditions. • You can also earn beyond the YouTube platform by providing a link to your website to get more monetized views. • Embedding your videos to your blog and other sites. • Using Daily Motion, Metacafe, Facebook platform and other alternate ways to start your earnings. • Use Facebook platform as the platform recently started the monetization of the videos which will be implemented very soon. Finally, follow the above ways to earn more money from video marketing. Apart from the monetization and other rates of revenue from different platforms, market your products and services using different ways to boost your sales potential and thus earn more revenue from your business.